The BMClab has state-of-the-art equipment and infrastructure for the investigation of human movement. 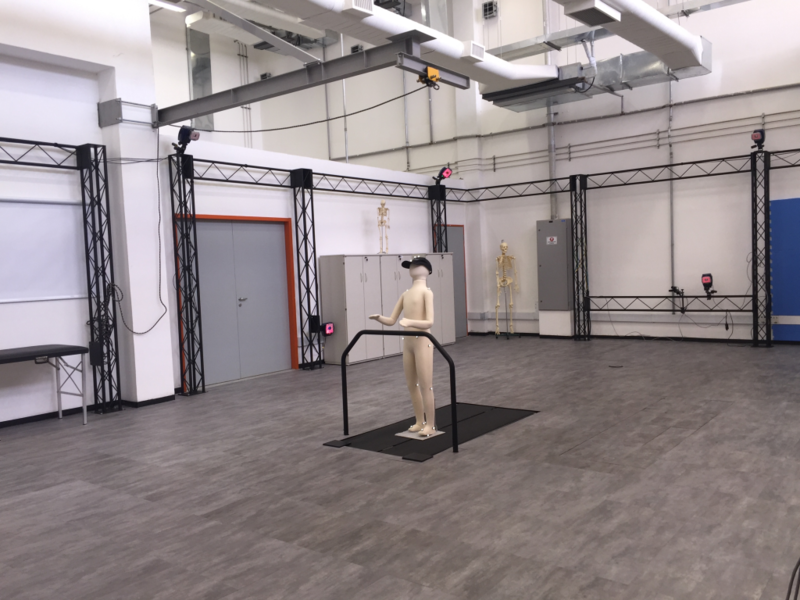 The Laboratory of Biomechanics and Motor Control occupies a space with 180 m2 at UFABC where we have a 120 m2 room for data collection with our motion capture system, force plates, etc. and three other rooms: one for data analysis with several computers (30 m2), another for subject preparation and evaluation (15 m2), and the third room for a small machine and electronics assembly shop (15 m2). Vista da sala para análise do movimento no BMClab. Python ecosystem for scientific programming (Python). See our software repository in GitHub. The construction of the laboratory and purchase of its equipment was made possible by the financial support from the Federal University of ABC and from Brazilian research agencies, CNPq and FAPESP.